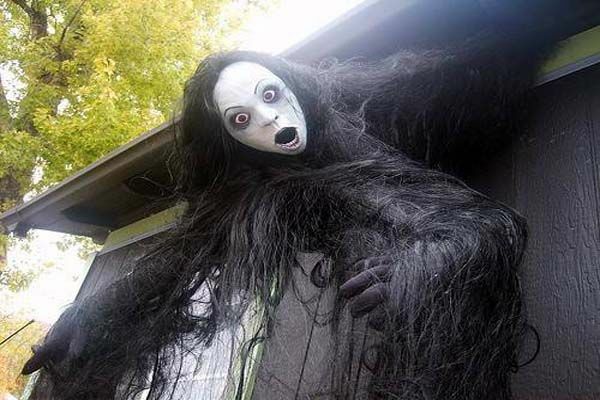 Get creepy ideas to make your house haunted on this Halloween with these spooky Halloween decoration ideas. Halloween decorations are never blood chilling without spirits, graves, pumpkins and the dead ones. So scare others with these award winning and easy to make ideas on this Halloween. 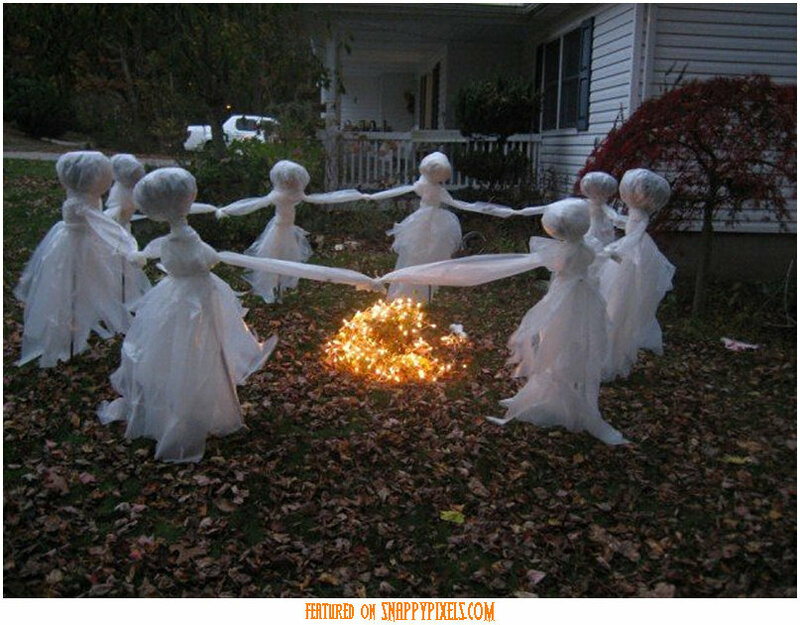 Scare others and give a perfect Halloween look with these spirits dancing in your garden. For accomplishing this cheap idea, all you need is lots and lots of plastic wraps on sticks. 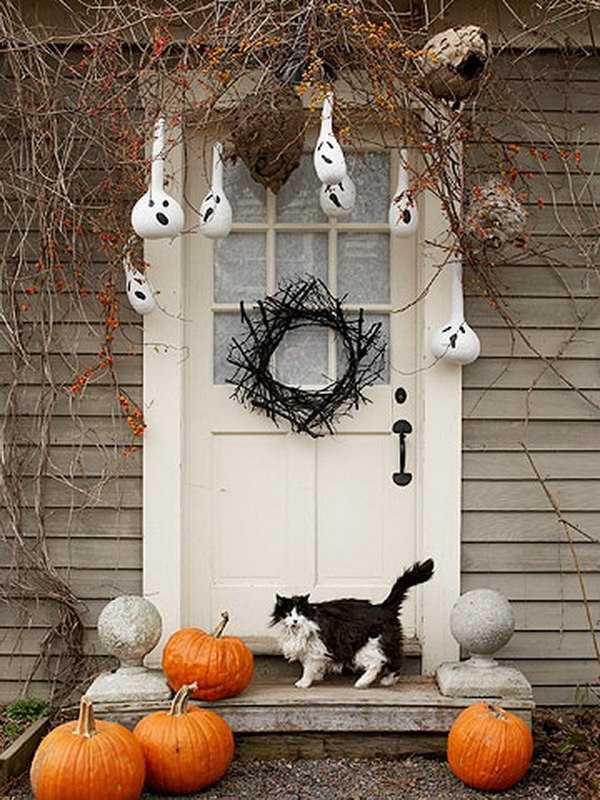 Let your trees to grow and branches to dry creating a natural and old effect for your doorway on this Halloween. 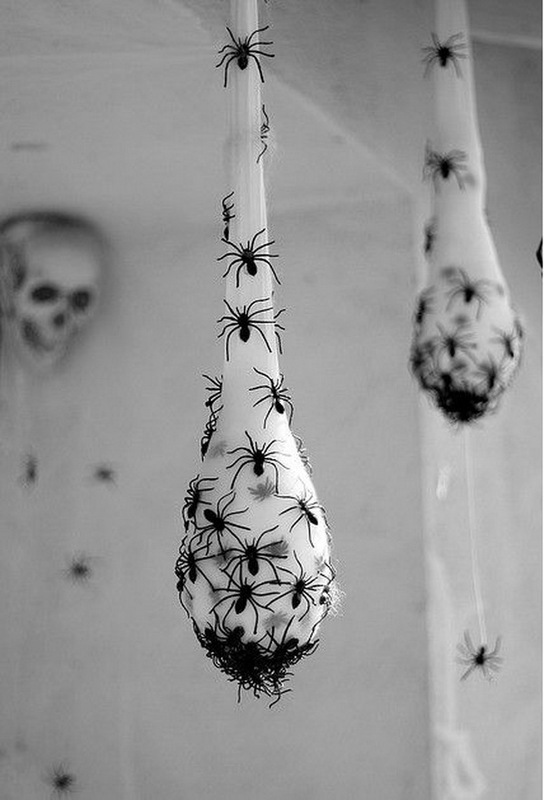 Paper cocoons and balloon spirits can surely add to its scariness. 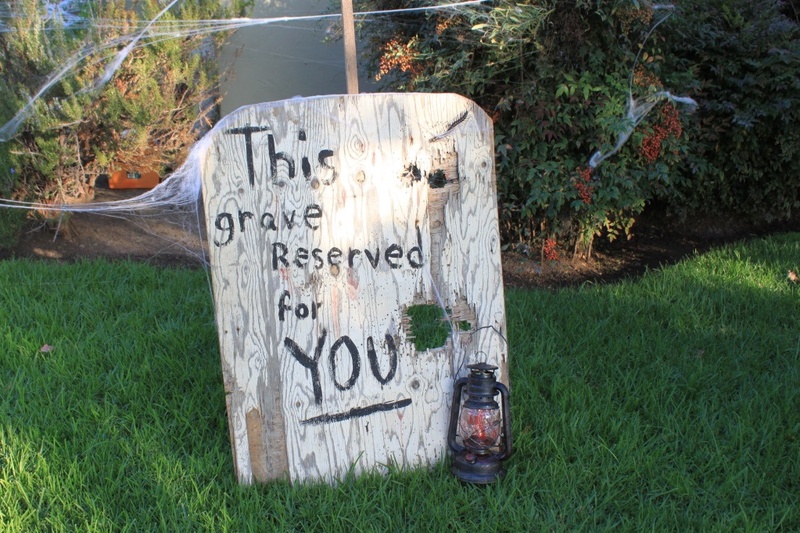 Tombstones, graves and skeletons…. What else could make your Halloween scarier??? When everyone prepares delicious snacks, you go with spiders. Along with spiders to your walls and tables, add a trick to your treat with spider cupcakes. Black food color to your regular cupcakes and some candies would make these disgusting but delicious spider cupcakes. One last way to use your broken dolls. Arms, legs or head, whatever, is left would make a perfect corpse. 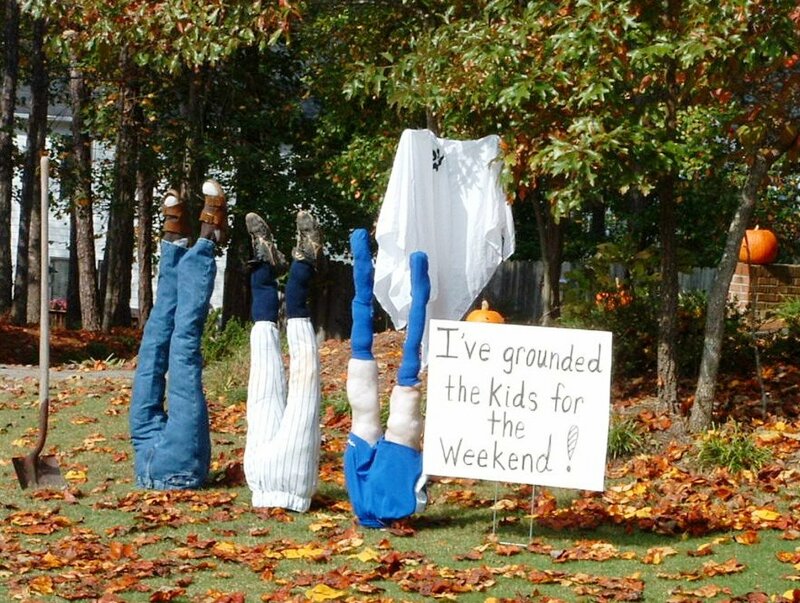 Add some fun to the scariness with just some old clothes. Stuff the worn out clothes and fix them in your lawn. This simple but interesting idea is worth a try. 7 It’s time to hide. It’s time to fear. Scariness to its height…. 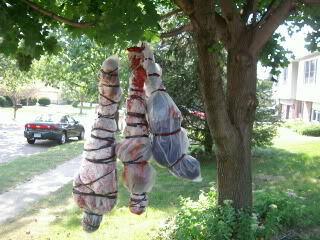 Just put a doll in the pole with a bloody knife in the neck. The terror of Halloween is enough on its own to make it the scariest thing. Halloween is incomplete without gleaming pumpkins, so carve out some for your doorways or tables. Add the creepiness of witches to your Halloween decoration. This would just require a mask with any unwanted hair extensions, plastic or cloth and a creative mind to pull out the idea. Wrap a doll head with some worn out cloth and stuck it in a jar. Use its arms or legs in the same way and give a perfect scary Halloween impression. 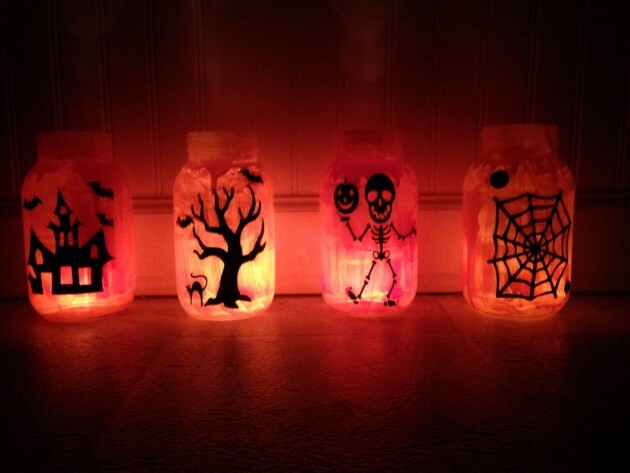 Make some cool trick or treat jars with paints and cuttings and let it be a dare for kids to get a treat from these. Blood effect could never be enough for a Halloween party. Add blood stains to the towels, bath tub, candles and white curtains. To add into the theme, order some blood theme cake. Terrify others with this final idea of hanging corpses. Carry out this spooky idea by making some dead bodies out of old clothes and newspapers and hang these bloody corpses to your tree.